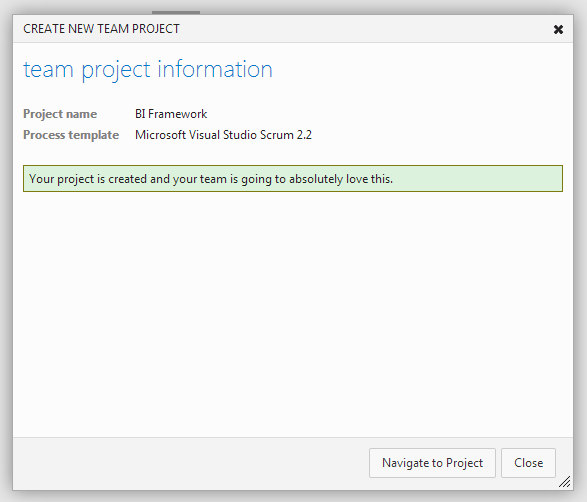 As part of the Easter holiday time abundance I am migrating some projects to the TFS service at http://tfs.visualstudio.com/. This is part of the evaluation to see if it works for some of the more complex scenarios we face when developing BI solutions. So at least we are off to a good start. This entry was posted in Business Intelligence, SharePoint and tagged Holidays, Source Control, TFS, Visual Studio on 2013-03-31, Sunday by Stefan Johansson. This error message appeared because I was using SQL Server 2012 in this specific development environment and hadn’t updated the SQL Server Data Tools (SSDT) to the correct version to support SQL Server 2012. Solution: Upgrade SSDT for Visual Studio to the latest version and update the database project. This entry was posted in SharePoint and tagged SharePoint development, SSDT, Visual Studio 2010 on 2012-12-11, Tuesday by Stefan Johansson. A client upgrade from SharePoint 2007 to SharePoint 2010 surfaced the following unexpected behavior. When clicking a icon in a list the icon lo longer links to the list item. This was the default behavior in 2007 but is missing in 2010. Since the customer still uses the 2007 user interface everything looks the same and the functionality is just missing. Very confusing for everyone. This entry was posted in SharePoint and tagged SharePoint on 2012-10-09, Tuesday by Stefan Johansson.